Please welcome the newest addition to An Alli Event! 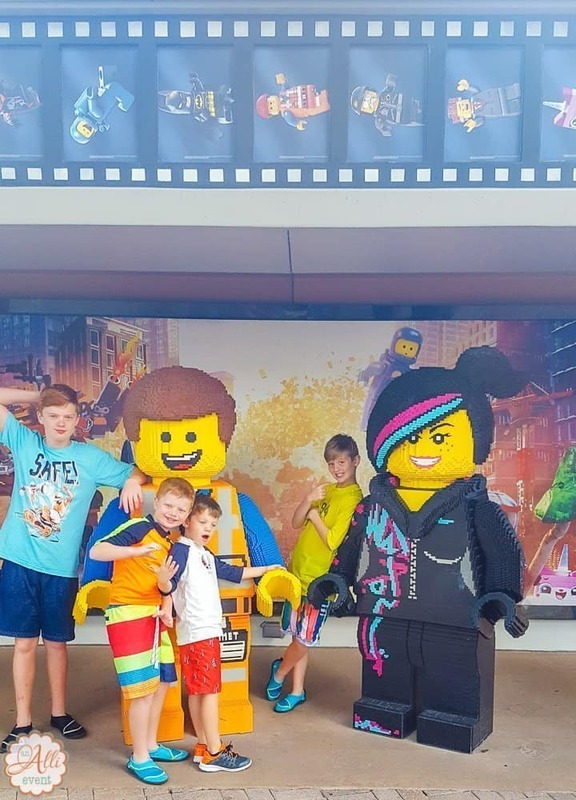 My daughter, Rebekah, has joined the team and How to Have an Amazing Time at Legoland is her first article. If you’ve ever stepped on a lego in the middle of the night, you may despise legos. I’m a mom of four boys and have stepped on my fair share of legos, but because my boys adore them, I’ve had to get over my aversion towards them. I mean really, how can something so small hurt so bad? Recently, my husband and I took our four boys back to Orlando, FL for vacation. We’ve visited Orlando several times over the years and it has become a favorite vacation spot for our family. We love Disney World, Sea World, Islands of Adventure and Universal Studios, but this trip we wanted to take our boys somewhere they had never been. I knew there was one place that my lego loving boys wanted to go. Legoland! Since it was July, we decided to go to Legoland and Legoland Water Park. We purchased our tickets in advance to avoid the lines. The park opens at 10 and we were there when the gates opened. After applying sunscreen to myself and my kids, we rented a locker to hold our bags and were ready to explore. Legoland caters to children 12 and under. My boys are 13, 11, 8 and 5. The younger three enjoyed the park a bit more than my 13 (going on 20) year old. Legoland offers rides, shows, displays, building stations, classes and more. My boys didn’t get to take any of the classes, but I thought it was really neat that they offered classes that taught how to build robots out of Legos. There are several roller coasters that have just the right amount of hills and speed for me and my younger boys. Caden, my 8-year-old, rode most of the roller coasters with me. We held hands and screamed together. My favorite roller coaster is The Dragon, but as a family, we vote for Ninjago as our favorite ride. 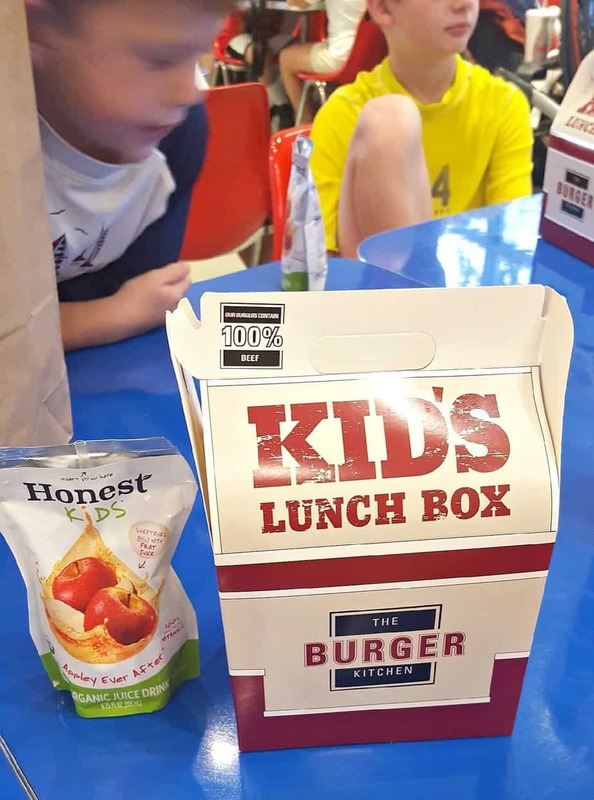 We ate lunch at Burger Kitchen. Everyone enjoyed their food and we thought it was reasonably priced for an amusement park. The lego displays were amazing! Miniland USA contains over 32 million lego bricks and amazing scenes from coast to coast. It was too hard to pick a favorite, but New York, The White House, and Kennedy Space Center were all superb. Logan, my 11 yr old, loves Star Wars. He was in heaven as we viewed the Star War displays. Darth Vader was his favorite. Around 4 pm, we decided to head to the Water Park. 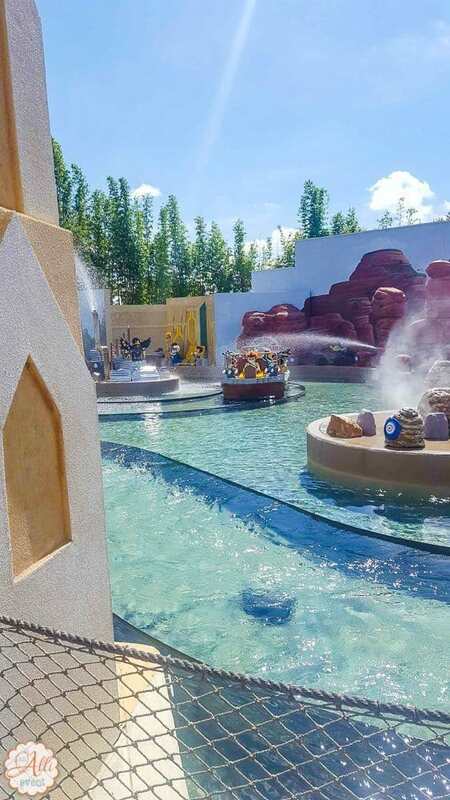 We still had not seen or done all that Legoland had to offer, but it was HOT and we were ready to get wet. I let my boys wear their swimsuits all day to avoid having to change in the bathroom. 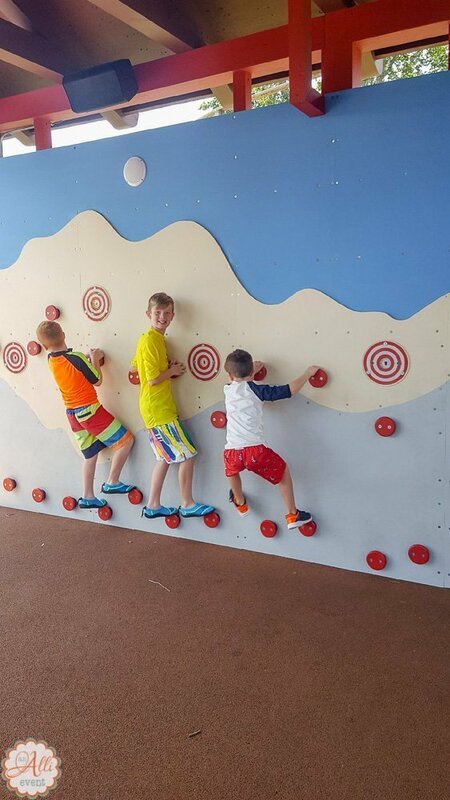 They also wore water shoes in hopes that they could wear them in the Water Park and not have to keep up with shoes. This didn’t go as planned because we were informed that you can’t wear shoes on the slides. Bummer! If you have a lego lover, Legoland is a must. My boys loved it and want to go back. Helpful Hint: Legoland is located in Winter Haven, FL, about an hour from Orlando. If you get there when the park opens, lines are short or nonexistent. Most rides we were able to just walk up and get on. We never waited more than 10 min. 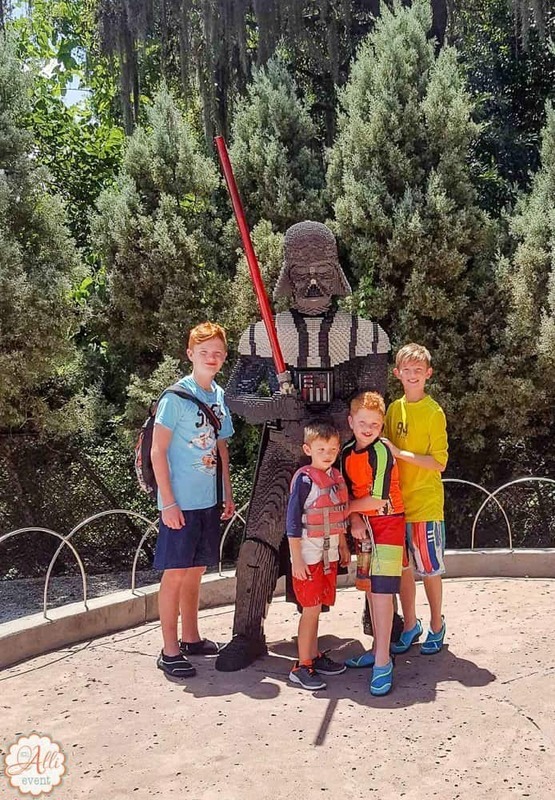 Another Helpful Hint: Legoland also offers several dates to book at a discounted rate for homeschool groups that do not meet the 15 student minimum to qualify for School Group pricing. Reservations must be made at least two days in advance. We saved some serious money using the discount! 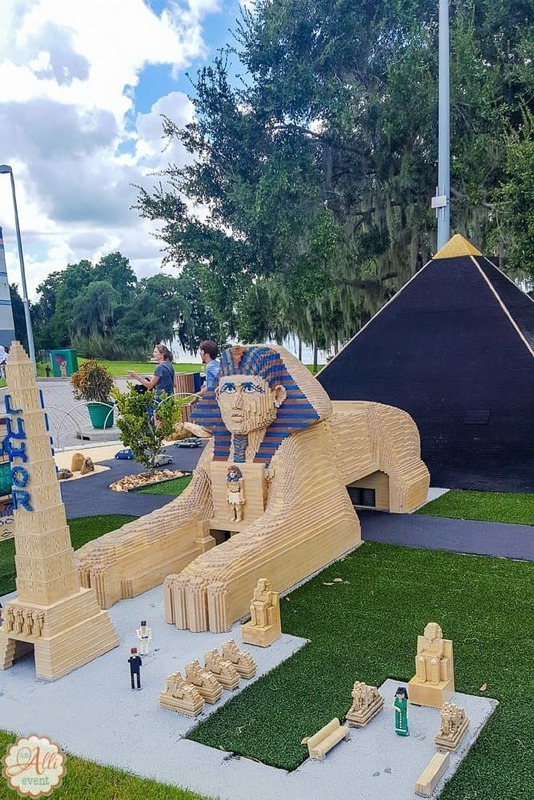 Have you visited the Legoland Theme Park? 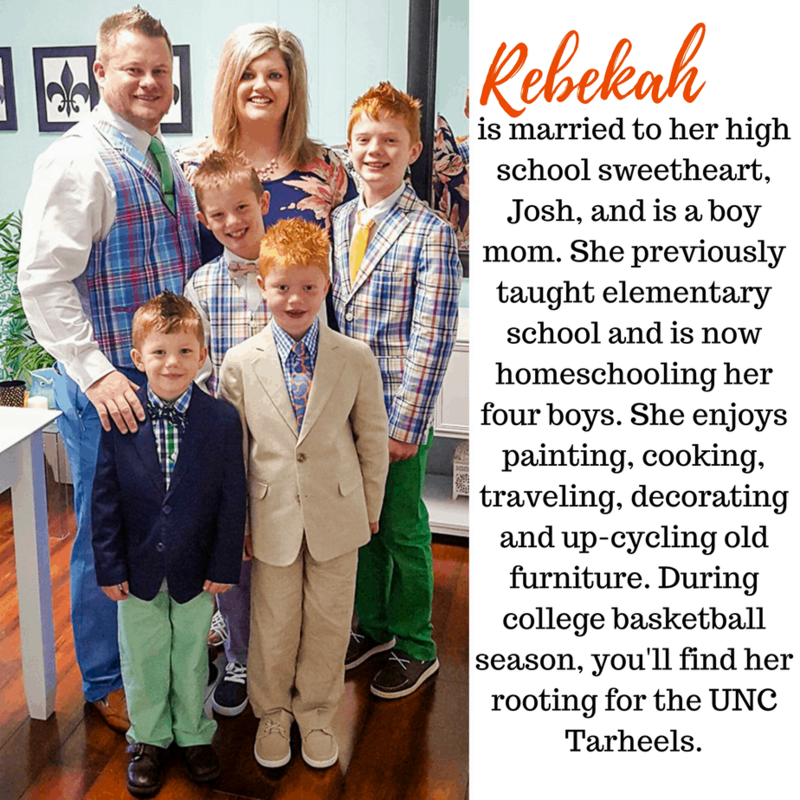 Rebekah is a mom of four boys and she enjoys remodeling her historic Dutch colonial house, cooking, spending time with her family and overseeing the children's ministry at her church. Good job!!!!! Bec you took after your mom with writing. looked like a lot of fun. :). Love ya Aunt Melinda ❤️❤️??? Thanks, Aunt Melinda! Love you too. Our Lego land is super small and in a local mall. It is still fun though and perfect for rainy days. ONe day we will make it out to the BIG one though! Thanks for sharing your adventures! It’s definitely worth the trip. ? 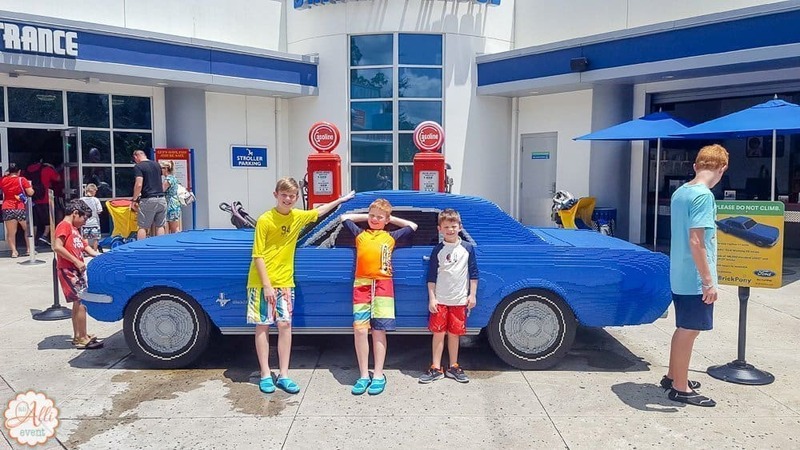 My grandsons would love to spend the day at legoland and see and ride everything. My 11 year old loved it. I hope he will too. 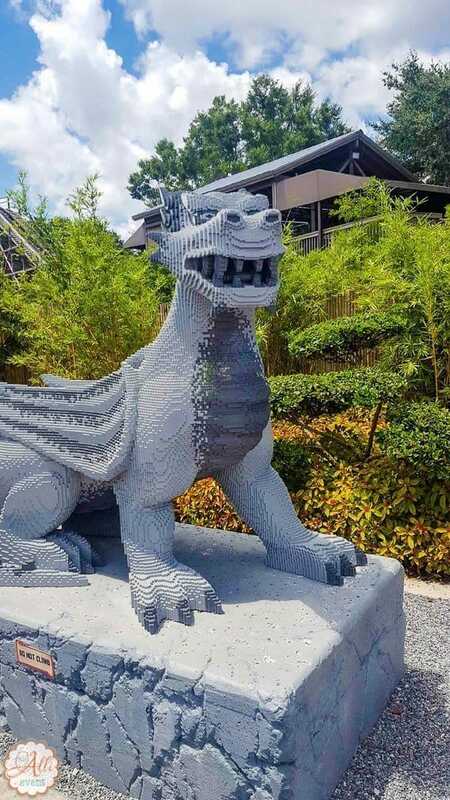 I remember going to Legoland when I was younger over here, it is such a fun place and it amazes me the things people can make from lego. All three of my kids would love this. They are big into legos and theme parks! Going to places like this always encourages my son to get creative with his legos. My goal is to get to Lego Land. I don’t care about the kids. I’ve loved Lego all my life and turned my son into a love of Lego as well. While he thinks he’s too cool to go, I will go happily. I just bought a lego Simpson’s House just for myself! Everything LEGO is truly the coolest, isn’t it? My sons loved visiting LegoLand, too, and I’m betting they’d still love another visit as teens now! We visited the Legoland in the Dallas area a couple of years ago for my kid’s birthday. We had an amazing time. 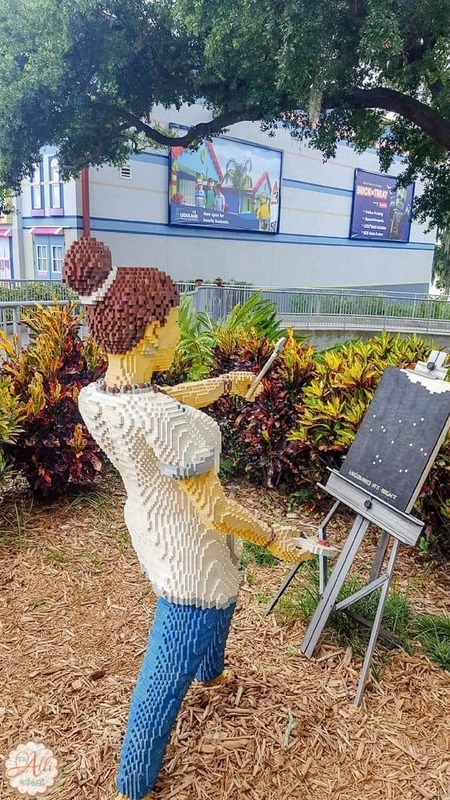 Although we have yet to visit Legoland Orlando, we always in awe of the Lego sculptures at Disney Springs. They are so amazing. Legoland sounds like so much fun! I miss the good ole days of going to theme parks. We are hoping to go to Legoland this Winter. The water park is going to be a big hit with the kids for sure. This looks like such a wonderful place to visit. I think my son would love to go there! Visiting Legoland is one of my list of places to visit next year with my sister’s family. Looks like your boys enjoyed it so much. Thanks for sharing! It is just amazing what they build with Legos! All of those sculptures and statues! It looks like everyone had a great time. Your pictures are wonderful. I can totally relate to being happy for the rain so you could leave! Several years ago we went to a theme park in south Georgia when it was so hot outside even the children asked to leave! Legoland is definitely one of the happiest places in the world. 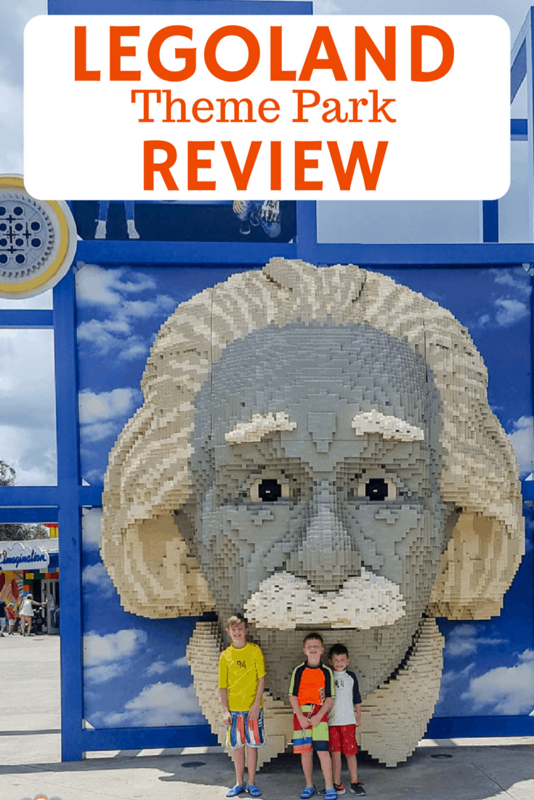 A great place to visit with kids, loved your review which only endorses my view. Wow! This Legoland looks like it has it all. Cute displays, lots of interaction for the kids, water park and good food. A friend of mine recommended Legoland to visit. She said that it’s a fun place to explore with kids. My high school best friend moved to Jacksonville FL after she got married. Legoland is quite a drive from where they live but they do take their son there as often as they could. Their boy is Lego-obsessed and you should see his “creations!” I am happy that your boys had a great time there too. Lego is a really addictive thing. Loved this post for the virtual tour of Legoland. Great post. You took after your mom with writing. looked like a lot of fun. 🙂 Have a nice Day. Looks like your boys had so much fun! Would love to visit Legoland as well. Anyways, I’m just curious if you get travel insurance? Love to hear more about it. What a fun trip. I was considering going at their CA park but opted for SeaWorld. I think we all would have enjoyed Lego Land a little more.